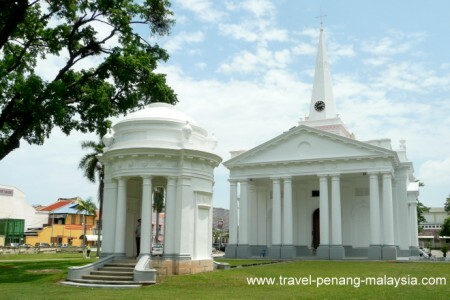 Our Penang Places To See page covers the tourist sites within George Town Penang, with all the "must see" tourist attractions around the old city centre. St George's Church dates back to the early days of British settlement in 1818 and is a wonderfully picturesque place to visit. You may also want to visit the old British colonial graveyard which is around a 10 minute walk from the church and the final resting place of many of the early Colonial settlers, including Francis Light. 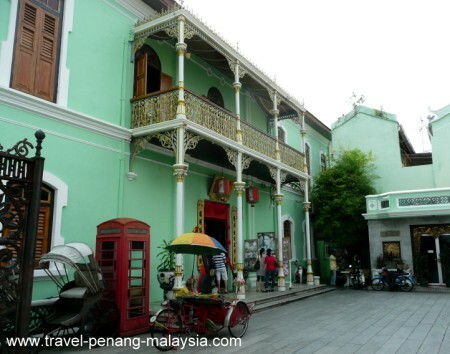 The Pinang Peranakan Mansion is a beautifully restored mansion located on Lebuh Gereja (Church Street) just on the edge of the Little India area of town and a short walk down the road from St George's. 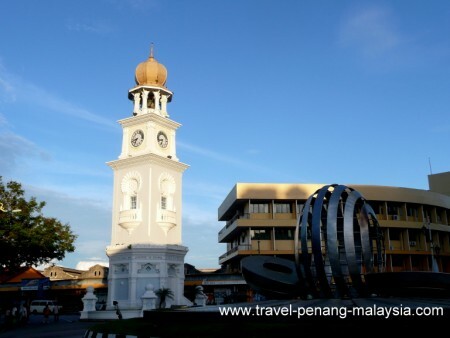 The Queen Victoria Memorial Clock Tower is located next to Fort Cornwallis and at the end of Beach Street (Lebuh Pantai) / Lebuh Light, close to the Port Swettenham, where the large cruise ships dock and where boats leave for Langkawi. 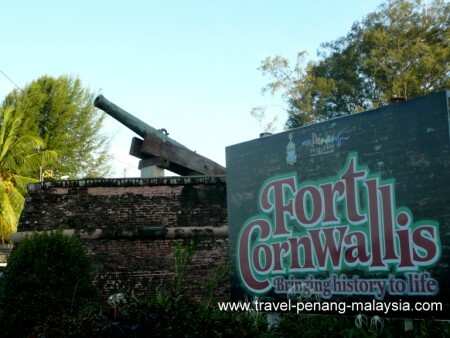 The old British Fort Cornwallis is located next to Penang Esplanade, where you can also see the beautiful old buildings of the Town Hall and City Hall. 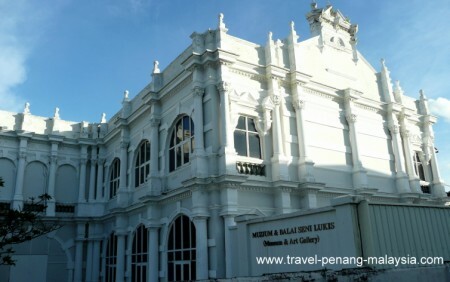 The State Museum in Penang is worth visiting to get an insight into the history and people of Penang Island. It is housed in a lovely old colonial building a couple of minutes walk away from St George's along Lebuh Farquhar. 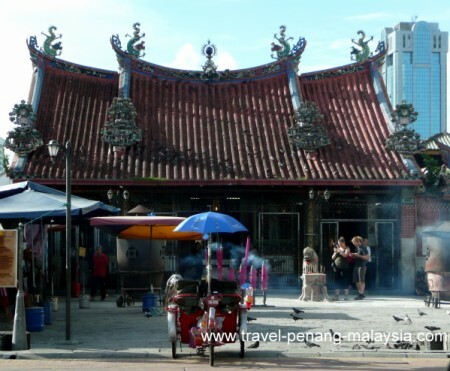 There are plenty of Chinese Temples in Penang like the Goddess of Mercy Temple (pictured above) on Pitt Street (Jalan Masjid Kapitan Keling). Another very popular place to visit in the evenings to try out the street food is on New Lane (just off Macalister Road) or Lebuh Kimberley (a couple of blocks south of Chulia Street). 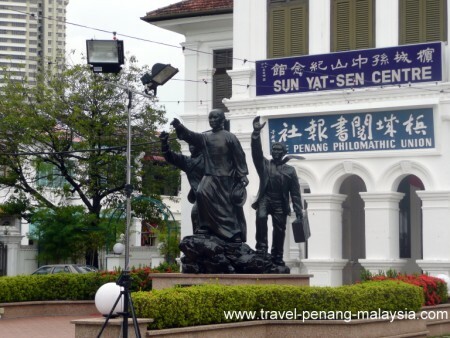 The Penang Philomathic Union Sun Yat Sen Centre on Macalister Road. 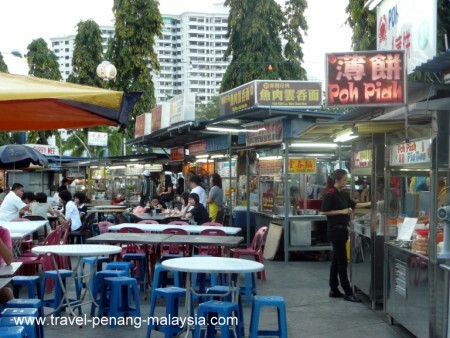 For more ideas on things to see while on your Penang Holiday, please visit our Places to Visit in Penang page , where you will find more tourist attractions around Pulau Pinang.